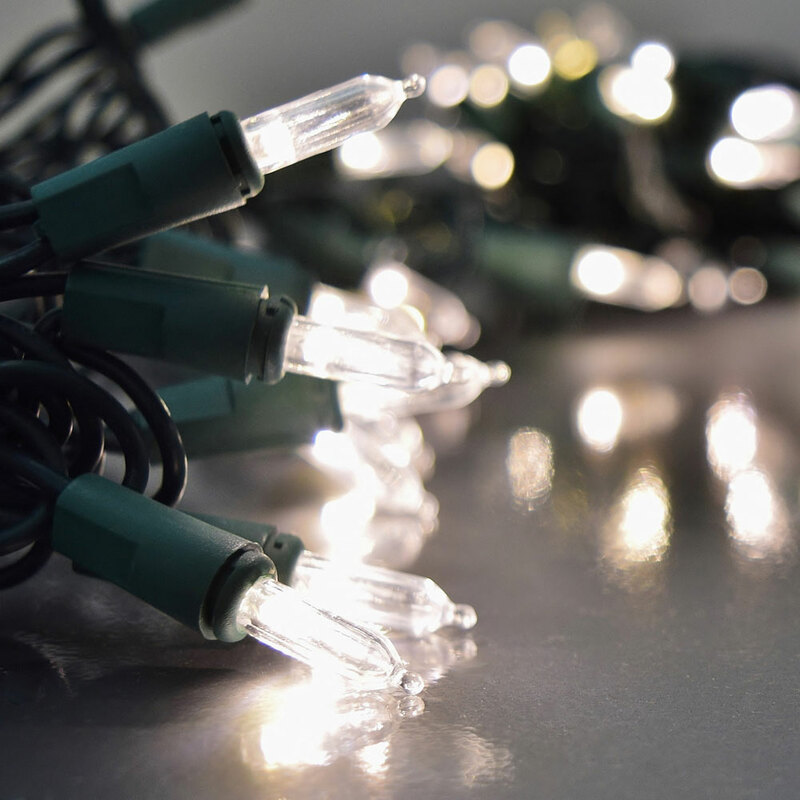 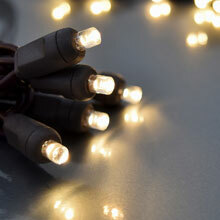 This LED light string has the benefit of saving up to 90% on energy cost AND looks just like the classic traditional light strings! 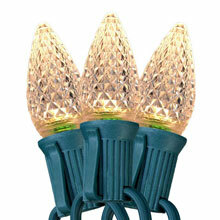 Not to mention you can connect up to 45 strings into only ONE outlet. 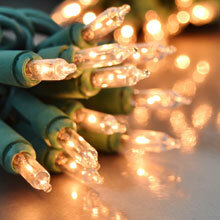 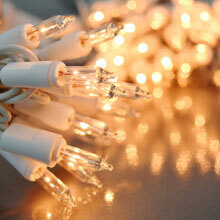 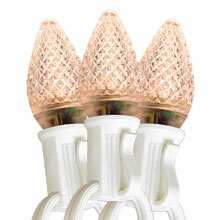 This warm white LED mini light strand comes with 60 warm white LED bulbs on a 16.5 foot green wire. 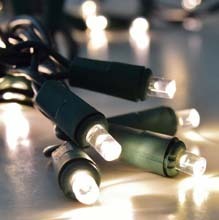 LED warm white lights on a 16.5 foot green strand.